Modeled on Pennsylvania's government, the program is designed to bring the workings of state government alive to teens. Nearly 500 students ages 14-18 were chosen by YMCA- and school-based programs to participate in this year's 65th annual conference, which is being held in the state Capitol through April 17. Pennsylvania First Lady Susan Corbett kicks off "The Week of the Young Child" by reading to and helping children paint a mural at the Child Care Center located at in the Commonwealth's Finance Building, in Harrisburg. In the second photo (Vertical) Mrs Corbett helps Lillie Schmelz (2) with her painting. The mural will be displayed at the center's entrance. First Lady Susan Corbett helped to kick off "The Week of the Young Child"
It aims to boost awareness of the needs of young children and recognize early childhood programs. The theme of the week is "Early Years are Learning Years." 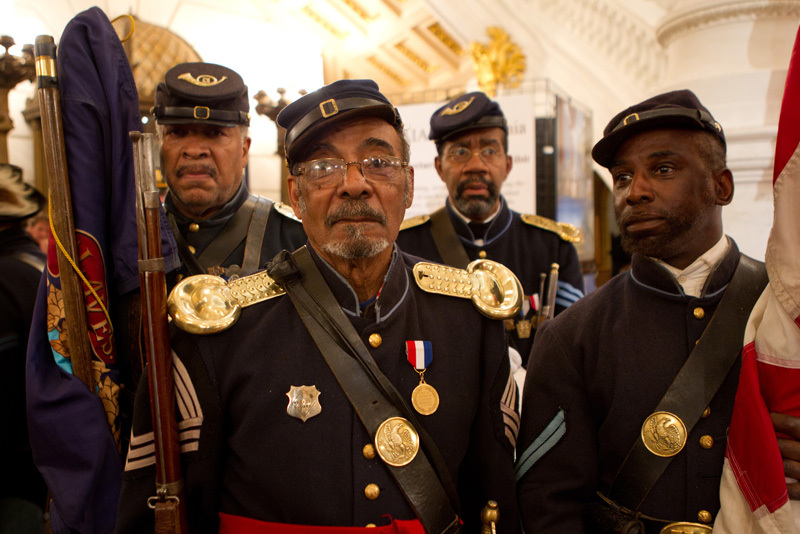 Governor Tom Corbett today helped to launch Pennsylvania's observance of the 150th anniversary of the Civil War, the four-year struggle between northern and southern states that forever ended slavery in the United States. PA Civil War 150 will include numerous activities and events at the regional and local levels through 2015. Clairton, Allegheny County - Governor Tom Corbett today toured Kurt J. Lesker Company, a family owned international manufacturer and distributor of vacuum products, highlighting his commitment to growing the state's economy and helping businesses create jobs for hardworking Pennsylvanians. Recognizing the 22 people killed in work zones statewide last year, acting PennDOT Secretary Barry J. Schoch, P.E., joined other state officials and local public utility providers to mark the start of National Work Zone Awareness Week, which runs through April 8. 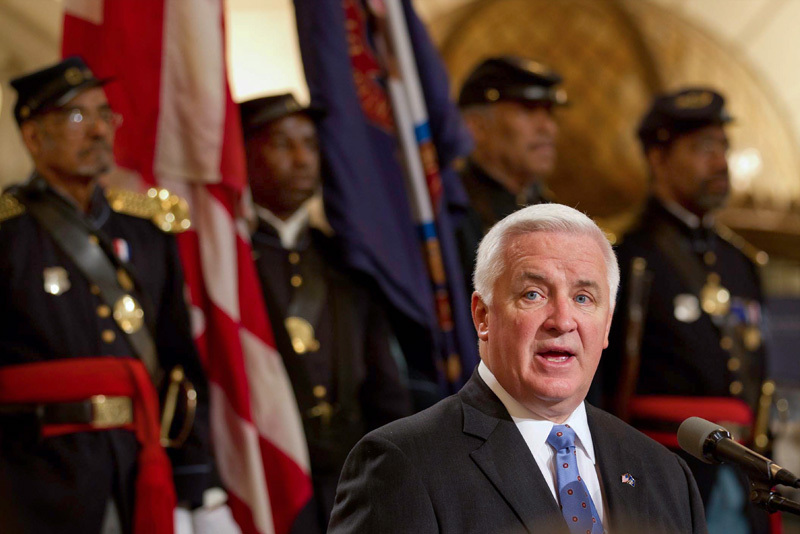 Governor Tom Corbett attends the graduation of 131 men and women as they join the ranks of the Pennsylvania State Police. Corbett spoke at the ceremony, which was held at Central Dauphin High School. 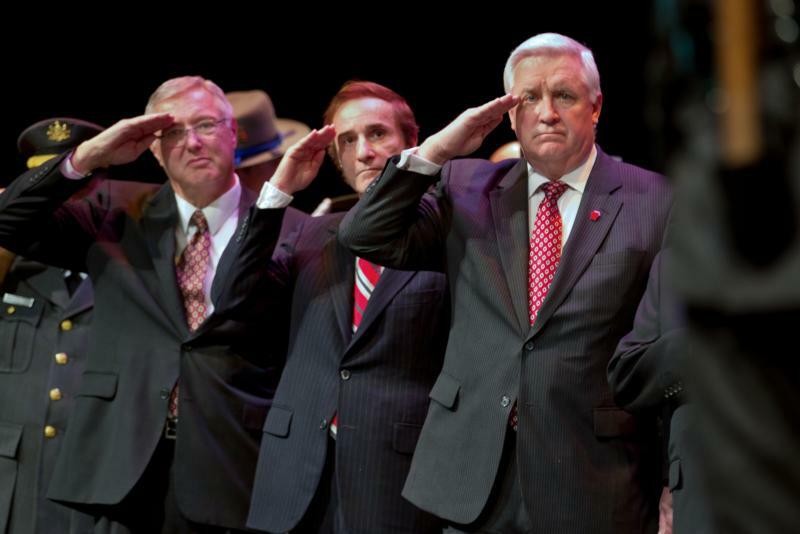 In the first photo people are (l-R) State Police Commissioner Frank Noonan, PA Superior Court President Judge Correale F. Stevens and Governor Corbett. 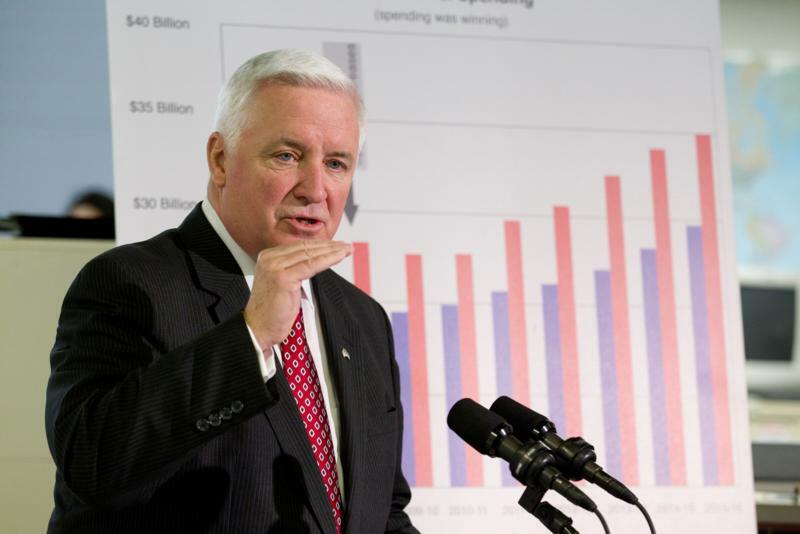 Governor Tom Corbett today toured Summit Steel and Manufacturing, Inc., in Reading, Berks County, praising it as a prime example of growing small businesses in Pennsylvania. 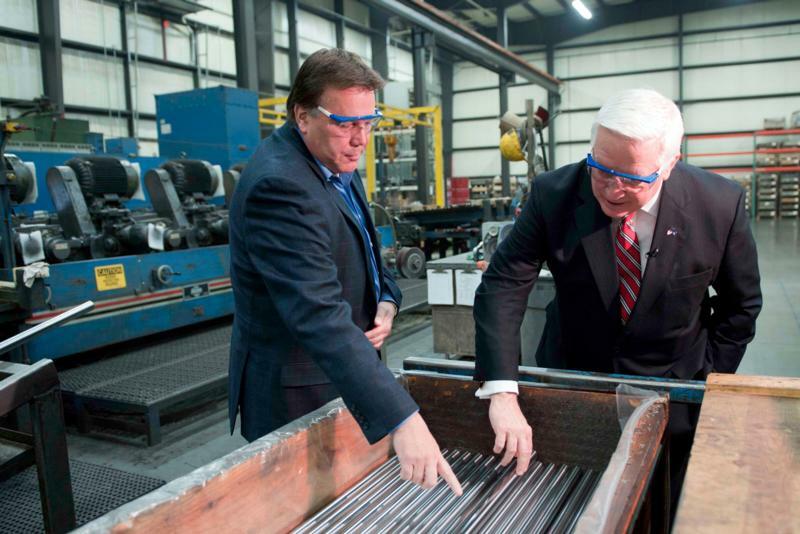 Gary Romig, Jr. (L), President of Summit Steel and Manufacturing, Inc., in Reading, Berks County, gives Governor Tom Corbett (R) a tour of the manufacturing facility during a visit today. A former Nabisco plant is transformed into modern office, medical research and retail space.